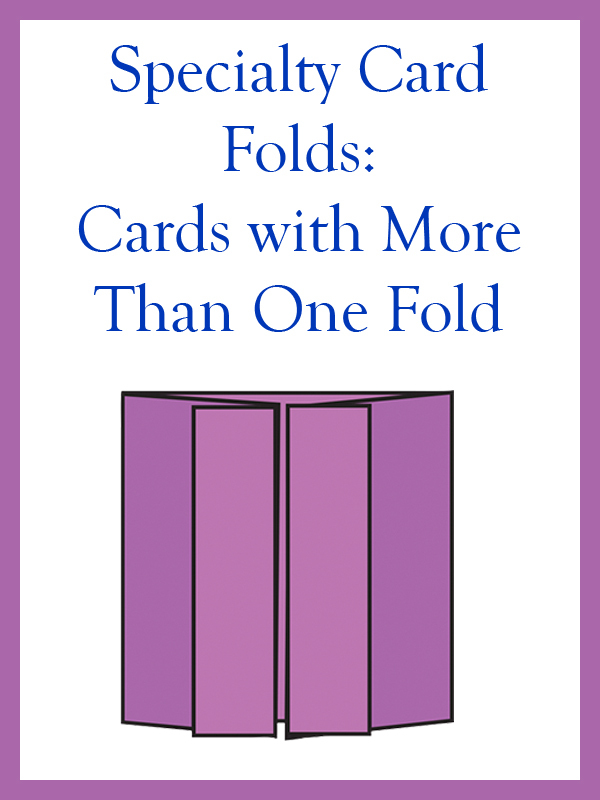 What kinds of cards have you made lately? 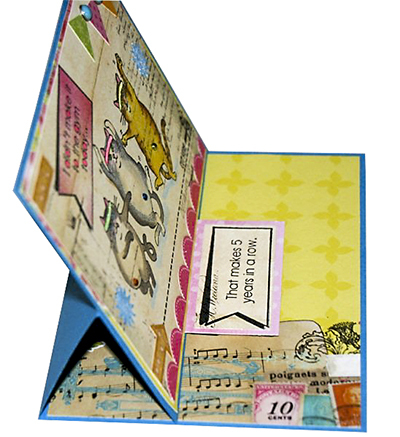 Need ideas for ways to break out of the 5 1/2″ x 4 1/4″ single fold card doldrums? 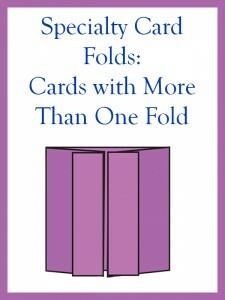 This eArticle is full of ideas and really meaty information on a wide variety of cards with more than one fold. Originally posted in April 2013, I’ve updated the posted files to update and/or fix some wonky links (particularly to YouTube videos mentioned in the eArticle.) Be sure to download the updated (and still FREE) version of this eArticle today! All eArticles are available in three formats: pdf files for viewing on tablets and larger screens, epub files for viewing on non-Kindle devices/applications and mobi files for viewing on Kindle devices/applications. This morning I woke up to a beautiful surprisingly cool sunny summer day. The sun was shining into the craft room and made me want to hang out there. So I decided to make some envelopes. This is something I’ve done a million times in the past but actually haven’t done lately. It is obviously quicker to just grab a store-bought envelope. 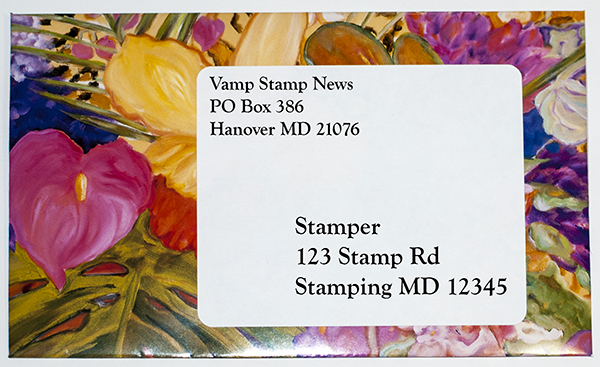 But it occurred to me that as well as being prettier, if I made a few sturdy envelopes for mailing out small orders of unmounted stamps, I could save the folks who purchase them on VSN’s Online Yardsale a little money, making a good deal even a little better. So I made a few. It is so easy . . .
Linda Adams emailed me this fun Easel Card yesterday (and gave me permission to share it with you when I asked). 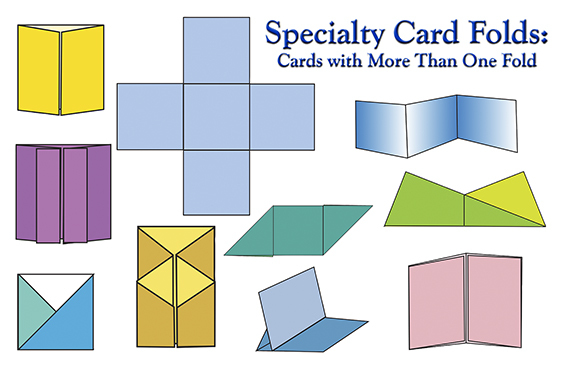 Directions for this type of card can be found in VSN’s “Specialty Card Folds” eArticle. 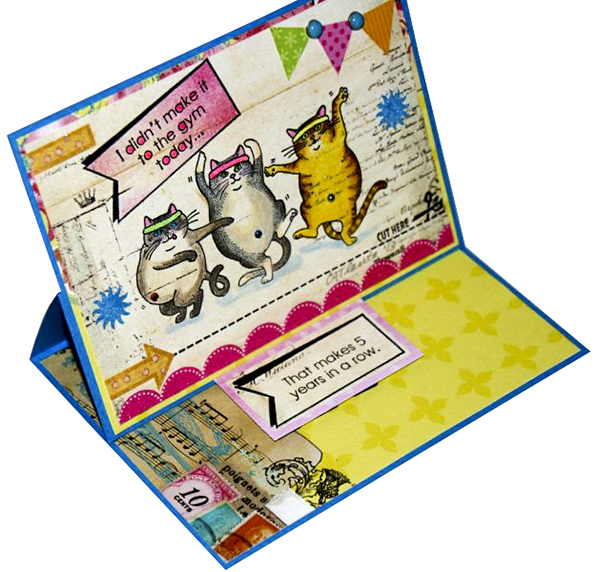 It is such a easy Kind of card to make, but is so cool because it can stand by itself. Linda says that this is the first time she has made this type of card.